The genius behind Ikea is that they've streamlined the furniture production process to near-optimum efficiency. If you consider having to assemble the furniture yourself to be efficient, that is. 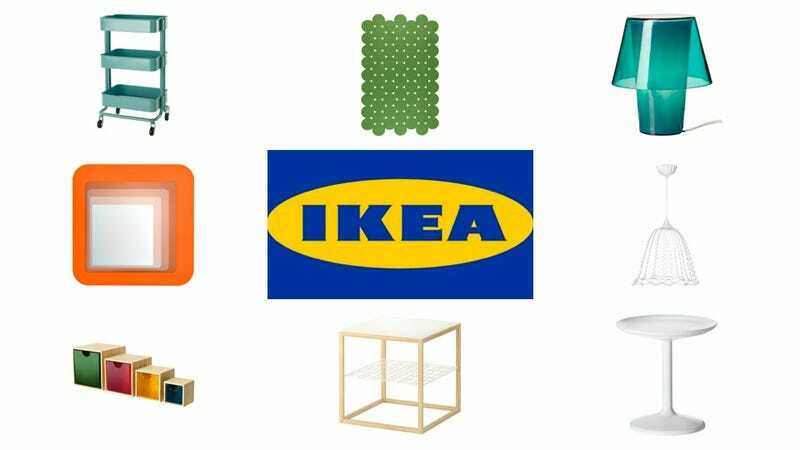 This week, Ikea released their 2013 catalog, which is chock full of new products that allow the masses to get their hands on pretty decent modern design without having to put their first-born up as collateral. One notable collection is PS 2012, in which designers revisit favorite Ikea pieces of the past. There is a lot of influence from design of the 60s and 70s; bright colors, organic forms, and fun ideas. Most of the pieces, like these 8 favorites, pull in these details while still looking stylish and contemporary.